Weight training is not the first exercise choice that comes to mind for seniors. Instead we think of chair yoga, walking, dancing, or aqua aerobics. However, science shows weight training is one of the best types of exercise for aging whether you’ve been doing it your whole life or have never touched a barbell in 60-plus years. Of the 57 million deaths worldwide in 2008, more than 5 million were caused by lack of physical activity. Roughly 80 percent of adults fail to meet recommended guidelines for physical activity. There is a common misperception that the elderly should stay away from strenuous activity. It is important to use safe equipment, focus on correct form, and warm up and cool down properly, but using your muscles as you age isn’t inherently dangerous. In fact, studies show that lifting weights — whether heavy or light — helps us in many ways as we age. Weight training reduces the risk of falling by maintaining or even increasing muscle mass and helping maintain bone density. This makes the elderly much less susceptible to age-related and disabling bone breaks from falls or accidents. This also helps stave off loss of independence, one of the greatest worries around aging. Strength training can promote mobility and function and even help combat depression and cognitive decline. 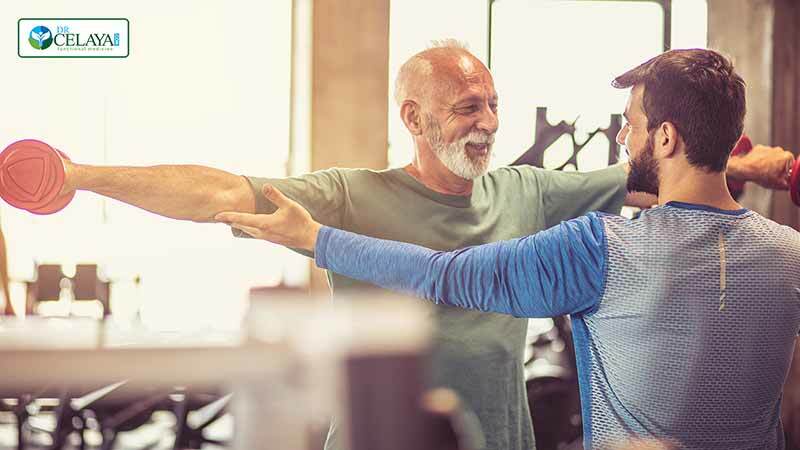 An analysis of the National Health Interview Survey (NHIS) database found that adults 65 and older who strength trained twice a week had a 46 percent lower mortality rate. He also found strength training reduces all causes of death, including cancer and cardiac death. The study showed that those who had lifted regularly for some time were protected against numerous age-related health issues related to neuromuscular functioning, sarcopenia, muscle force-generating capacity, cognitive functioning, overall functional capability and performance, and mitochondrial impairment. Schedule a FREE 15-MINUTE CONSULTATION with Dr. Celaya to get to the root cause of your health issues. 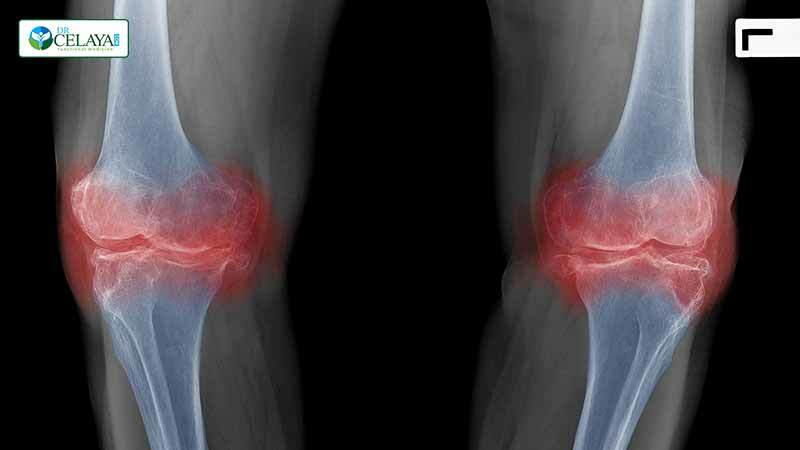 Is weight lifting riskier in old age? 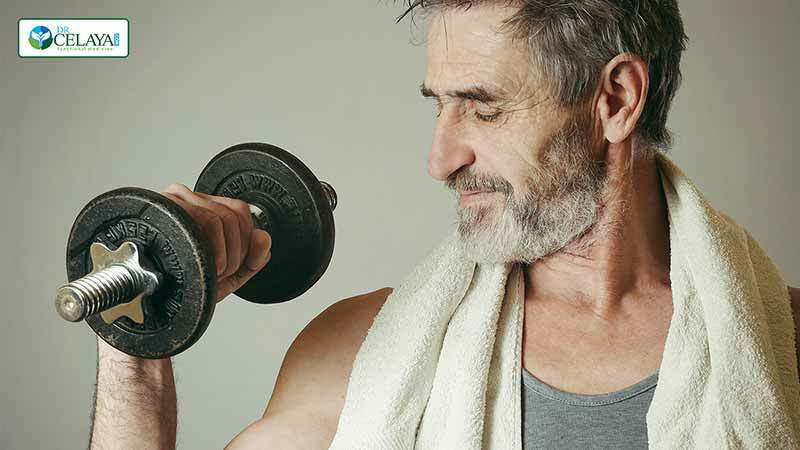 Lifting weights risks at any age, however, hundreds of studies have shown weight training to be safe, enjoyable, and beneficial as we get older. Anyone can get injured when working out, so knowing how to safely use equipment, warming up and cooling down properly, and using proper form will keep you in action. Before starting, have a medical checkup or ask your doctor for clearance. This is especially true if you haven’t exercised before or have taken a long break from physical activity. What type of weight training is best? Weight training is an activity anyone can start regardless of age. It doesn’t take lifting like a competitor to gain major benefits, and many of the benefits are immediate. As you train, your cardiovascular and musculoskeletal fitness will improve, thus helping you to prevent injuries as you progress. Whether you train using your body weight, dumbbells, systems weights, full Olympic style, or with some other style, focus on gradually increasing intensity and power. A personal trainer can help you meet your goals with a form that works for you, plus teach you how and when to safely increase your challenges. Finding a weight training style you like will motivate you so you keep showing up for workouts — whether it’s at the gym or in your living room. Before starting any exercise program, be sure to consult with your health care practitioner, and if you are uncertain where to begin, reach out to a local certified personal trainer who can guide you. If you would like help understanding the benefits of weight training for seniors, you can schedule a FREE 15-MINUTE CONSULTATION with Dr. Celaya.